In this week’s History of Magic, we’ll look into someone who was given the full name Leo Norman Maurien Murray Stuart Carrington Walters at birth, and who later changed his name to “Murray the Escapologist”. Born in 1901 in Melbourne, he had seen two famous magicians perform before age 10 and at that early age, he had decided to become a magician. Shortly after, the family moved to Sydney and soon afterwards young Leo began to perform small shows in their neighbourhood. Leo had a strong interest in travel and in his late teens joined the Union Steam Ship Company’s RMS Niagara to Vancouver where he cut his work short and disembarked. He managed to perform a few shows that paid his way to America by ship to Seattle, Washington. However despite approaching theatrical agents, Leo found not much work as a virtually unknown magician. Murray finally obtained a week’s work in a Californian theatre and doing odd jobs but joined another ship travelling to Singapore, India and eventually South America. By day he carried out his shipboard duties and at night performed magic at hotels like Raffles in Singapore and the Taj Mahal in Bombay. 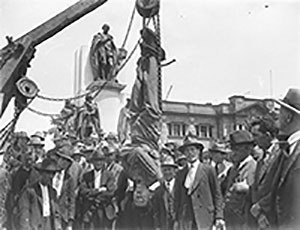 Upon arrival in Buenos Aires in 1920, he was hired as an assistant to Belgium illusionist Servais LeRoy for a short period. Soon after this he returned to his seagoing life until he arrived back in Sydney. By 1923 he had opened then closed his first time big show as “Murray the Escape King”, but undeterred he made his way again at sea to numerous exotic ports including Cambodia, Bombay, Cairo and Malta. His luck changed a little in Siam (Now Thailand) when the King sent his endorsement to the King of Cambodia for Murray to perform. At each port Murray set up challenges for an assortment of daring escapes, something Houdini had also done and began to succeed in these escapes that used chains, leg irons, handcuffs and number of cleverly devised restraints. Eventually Murray arrived in England and after successfully obtaining bookings with a few agents, managed to present shows in a number of theatres around the country. In 1927 he even managed to perform at the famous Egyptian Hall that had become London’s Magic Mecca. After his English engagements, he returned to Australia to perform on the Tivoli Theatre circuit with full houses. He also began to gain fame and good publicity with his daring out door stunts, like jumping into the Thames River completely secured by chains, locks, manacles and handcuffs. He escaped from a straight-jacket while hanging upside down from the Blackpool Tower. Another spectacular escape was after being secured inside a regulation mailbag was then shoved from an airplane over the Bristol Channel. Escapology always had that real threat of danger to a performer’s life and therein lay its attraction. Murray’s tour continued successfully until the late 1930’s when he toured Germany. He performed for Adolf Hitler and Goering and the elite Germany society. At the start of World War II, Murray was advised (forced) to leave his entire show and escape from Germany virtually with little but the clothes on his back. Arriving in England he only remained a short time making his way to India by ship to help build up his finances again. He managed to put together a full evening show that illustrated, the man had ingenuity and was resourceful. By this time he had perfected a number of personalized escapes and illusions in his repertoire. He returned to England showing in the best theatres and went on to tour Scandinavia successfully. He finally returned to Australia in 1947 and completed a grand tour of his homeland. Once again he returned to England to continue his successful performances around the country. 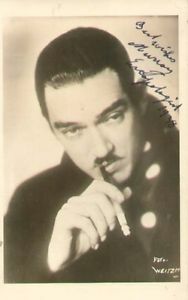 Throughout Murray’s career he never used the term magician with other performers unless the performer had a large stage show but instead referred to them all as conjurors. It was his showmanship that continued to drive him to carry on touring and seeing the world. 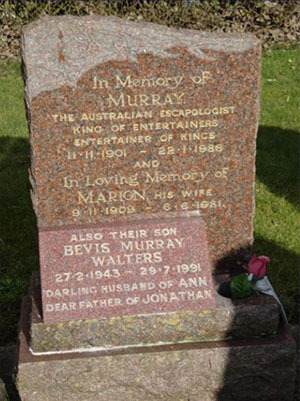 Murray the escapologist retired from the road in the 1950’s as a successful performer and having followed his childhood dream of travelling to far distant lands. Murray opened a Magic Mart in Blackpool, England and attended conventions as a guest. It has even been suggested that he actually coined the word ‘escapologist’. He was awarded the Masters Fellowship from the Academy of Magical Arts in Hollywood on January 22, 1988. 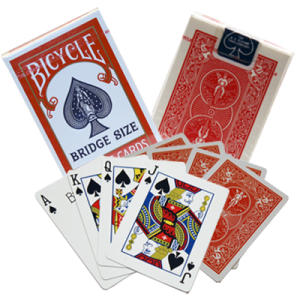 Murray managed to mix with a number of famous magicians of the time like Dante, Horace Goldin, Max Malini and Nate Leipzig, all legends in magic. Murray was often quoted as being a ‘Loveable Rogue’ and many Australians would describe him as a ‘Larrikin’. Note Murray holding a glass of beer in his hand on his playbills. Cyril Critchlow, a fellow magician friend and collector of magical ephemera and fairground playbills once visited Murray at his magic shop where there was an elaborate vase that had belonged to Chung Ling Soo. The vase was complete with a letter of authentication. Crichton asked what he wanted for the vase and a cash agreement was reached. Murray suggested that rather than pay cash for the vase that Cyril instead paint his house, which Critchlow agreed to. After a week’s painting Cyril came back to collect the vase only to be told that it had been sold to a well-dressed gentleman for a much higher price. Then Murray handed the agreed painting price to a somewhat very aggrieved Critchlow. This act seems to fit Murrays ‘Larrikin image’. Someone also remarked that if he indeed did have a letter authenticating it had been Chung Ling Soo’s vase, he probably wrote the letter himself. On January 22, 1988 the man who toured the world entertaining his audiences by being chained, shackled and hung upside down passed away, but his name still remains bright in the history of magic. Lessons we can learn from Murray can be taken from some of the statements he made during his life. “Talk about me good –Talk about me bad- it doesn’t matter, as long as you talk about me”. “You are not a conjuror unless you can do something with your hands” and finally “The two most essential things a conjuror can possess are audacity and bluff”.